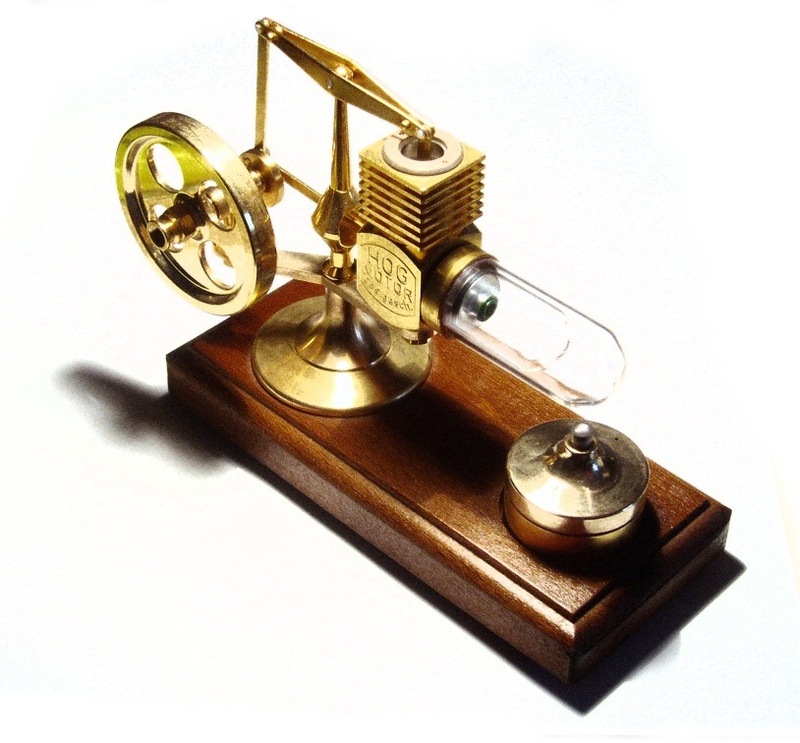 ‘A Stirling engine is a closed-cycle regenerative heat engine with a permanently gaseous working fluid’ – Wikipedia. GLENN RESEARCH CENTER, Ohio — If you are wanting to perform some science at Neptune, or Pluto, or beyond in the dark depths of the outer solar system, your spacecraft is going to need power for a very long time, says Spaceflight Insider. Engineers at NASA’s Glenn Research Center in Cleveland, Ohio, are working to make that happen, and have been at it for a very long time. The engineering team in NASA Glenn’s Thermal Energy Conversion Branch recently set a run-time record for a free-piston Stirling engine at full power. The experimental unit, designated Technology Demonstration Converter (TDC) #13, has now performed more than 110,000 hours of cumulative operation, since 2003. That is more than 12 years of operation. Accomplishing this record makes TDC #13 the longest-running heat engine in the history of civilization. And it is still running today, without any issue or any sign of wear. Between 2001 and 2003, a number of Stirling converter prototypes were fabricated at NASA Glenn and placed on extended operation tests to demonstrate long-duration life. TDC #13 and TDC #14 have run the longest, with TDC #13 as the record-setter and TDC #14 not far behind. The two units have been turned off during the experiment only long enough to remove covers to examine their components, and to do the necessary maintenance and replacement of outside equipment and sensors used to conduct and monitor the continuing test. TDC #15 and TDC #16 are also not far behind their slightly older Stirling iterations. The free-piston Stirling cycle engine is an elegantly simple design. It consists of a pressure vessel that contains a piston and a small quantity of helium gas. When one end of the pressure vessel is heated (in the case of a spacecraft application that heat source will be a piece of the radioisotope plutonium-238), the helium gas within the pressure vessel expands, forcing the piston away and into an oscillating back-and-forth cycle. A rod attached to the bottom of the piston contains a magnet. As this magnet oscillates in relation to an electromagnetic coil, its oscillation induces a flow of electric current and thus serves as a linear alternator. All of the motion is done in a back and forth, or linear, fashion. There is no rotary motion. No crank apparatus. The moving parts move only back and forth. And more importantly, they never touch anything. There is no friction. This is quite unlike the heat engines in our automobiles. They have piston rings to help create a seal in the cylinder, which causes friction. So oil is introduced to reduce the friction. The moving parts of the piston cranks all experience friction as well. So they too must be lubricated and so on. Short NASA video demo here. All sounds too good to be true. It would only take a minute escape of working gas- and space is a vacuum to disable the system. Or is the whole lot sealed in a pressure vessel? One thing to build a bench top model able to run this long, but a real life version would have to be put on top of a rocket and shaken like a rag doll. Bitter, the Seals are special if you read the whole thing. The interesting aspect of the design is that you could pack as many of these as you can get around one source of U238 and power them all at the same time. ‘Free piston engine, hermetically sealed, delivering electrical power. At one point it was recommended as an in-between engine and radiator in autos. I believe it was monsieur carnot who first realized that if you could build a perfectly efficient steam engine, it would be reversible, ie it would produce usable work running backwards. @gymnosperm: I am lost. I thought a steam engine produced usable work running forwards. You can use a stirling as a refrigerator e.g. for liquifying gases. I think in a triple chain to make liquid hydrogen/helium. I had an old Pontiac 6 cyl that I bought for $ 40 that lasted almost as long. It was like Dracula only it drank oil instead of blood. Hydraulic lifters would quit whenever it got thirsty. Couldn’t kill it. Lord knows I tried. Sold it years later for the same $ 40. The pont as it was called was still running when I sold it. 400 thousand miles and still going strong. For all I know NASA may be running a distant second. ferd – sounds impressive but not continuous operation? In 1971 a fellow worker sold a 1947 Mercedes diesel sedan with 810,000 miles on the clock. Got $A410 for it. She wanted something a bit more modern but the car was quite operational. And yes, the Odometer did record 6 figures. Sorry. Adelaide South Australia. 4 cylinder diesel. Only 3 owners. The first 2 used it for country runs to Ports Pirie and Augusta (200+ mile runs). Put one on top of a cup of hot coffee and it runs backwards (and fast!). Magic! Since 1970, NASA has successfully employed very-long-life radioisotope power systems using thermocouples and no moving parts for unmanned deep space missions.